Purchasing a fleet management solution does not have to be a lengthy process. We have a variety of contract vehicles you can use to purchase FleetCommander. You can use the Sourcewell (formerly NJPA) cooperative buying contract, our government contract options through GSA Schedule, or leverage our existing state, county or municipal contracts. Ask about our procurement options. Most likely, we’ve got you covered. Formerly called National Joint Powers Alliance (NJPA), the Sourcewell cooperative buying contract for fleet solutions enables its 50,000-plus member agencies (including states, cities, counties, all government agencies, both public and non-public educational agencies, colleges, universities and non-profit organizations), to purchase FleetCommander technologies without the need to solicit competitive bids. Sourcewell has already conducted an exhaustive open and competitive bidding process that eliminates the need for additional solicitations. Member organizations nationally have the ability to participate in cooperative purchasing activities as a result of specific laws of their own state. If you run a fleet for government, education, or a non-profit, most likely you can join Sourcewell for free and utilize this contract vehicle. Did you know that GSA Schedule orders average 15 days, while open market government procurement averages 268 days? Save time and money purchasing via our GSA Schedule partner. 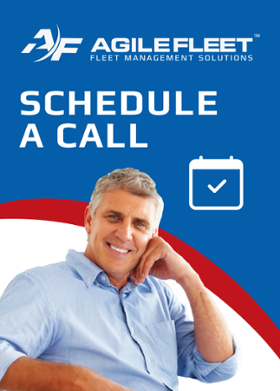 Federal, state, and local government fleets may purchase FleetCommander via our GSA Schedule partner, a Service Disabled Veteran Owned Small Business (SDVOSB). Many government buyers prefer to purchase products and services through the GSA Schedule because it streamlines the procurement process and it ensures fair and reasonable pricing, and pre-vetted products from select vendors. Not sure which vehicle works best for your purchasing needs? Contact us. …And many others. Be sure to ask about how to purchase via one of our existing contract vehicles.